Think Perl 6 is an introduction to computer science and programming intended for people with little or no experience. 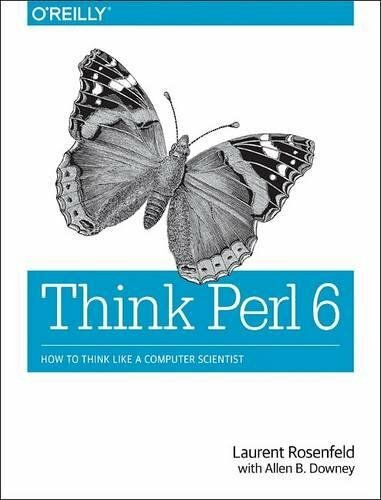 After having completed this book, you should hopefully be able to write programs to solve relatively difficult problems in Perl 6, but my main aim is to teach computer science, software programming, and problem solving rather than solely to teach the Perl 6 language itself. Introduction to Perl: variables, arrays, operators, statements, functions, references, input and output, regular expressions, reports, special variables, handling errors and signals, objects, modules, debugging, command-line options, etc.